April 1-12, 2019. 12 days/11 nights. Now fully booked – sorry! 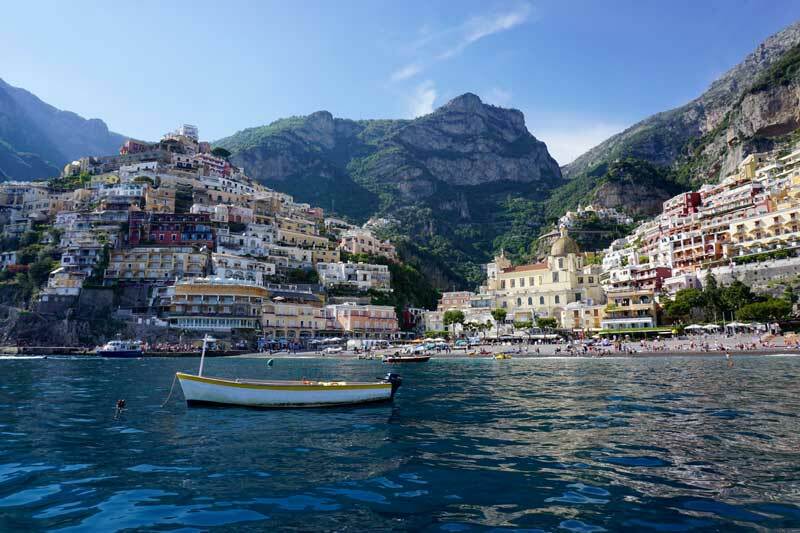 Come with us to one of Italy’s most scenic and dramatic coastlines, Amalfi – it will simply take your breath away. 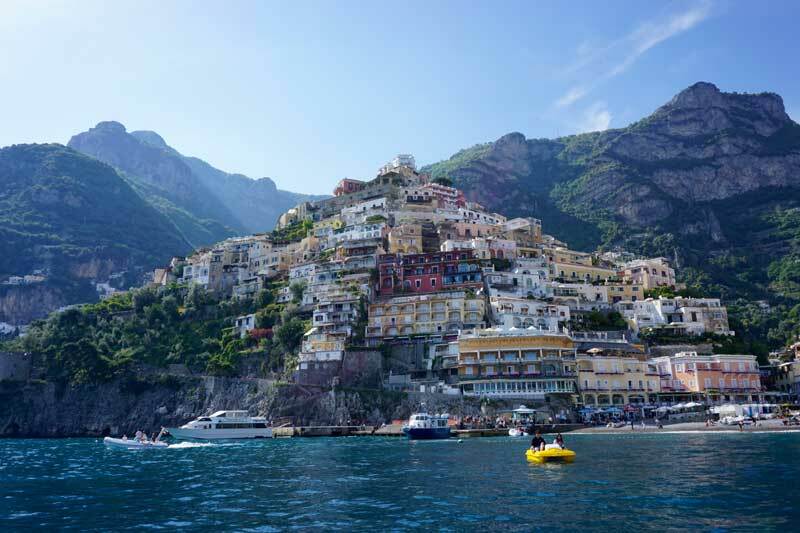 Amalfi is situated on the steep southern shore of the Sorrentine Peninsula in Southern Italy. It has an ambiance all of it’s own; a wonderful warm Mediterranean climate; an abundance of nature; enchanting views that stretch for miles; calm glassy seas of a colour so overwhelming, it has it’s own name – azure. Together, we will discover the exotic cosmopolitan hubs of the picturesque town squares and the sleepy warm tranquillity of the ancient villages with their little churches, ruins of castles and old farmhouses – all of this and more at every turn. 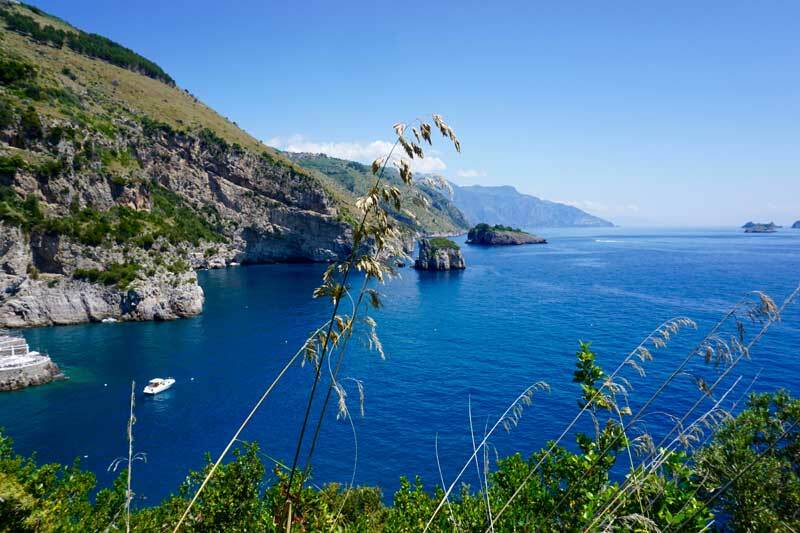 A large part of our guided walking tour of Amalfi is along the coastline (mostly high up, with fantastic views) of the Sorrentine Peninsula and the beautiful Island of Capri. We will wind our way through charming villages and spectacular rural areas on the little known network of footpaths; the terrain is steep in places and there are lots of steps. However, our reward will be the many spectacular views of the Amalfi coast and the Bay of Naples, the glorious aroma of lemons from the groves and a general ambience that is quite unique. 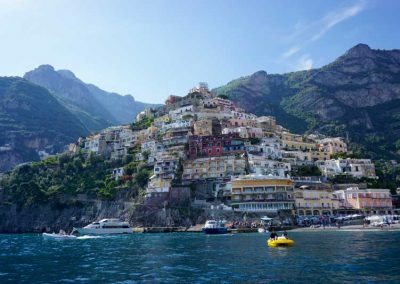 The houses, hotels, restaurants and shops in the towns along the coastline are stacked up on the side of what we would call a cliff. 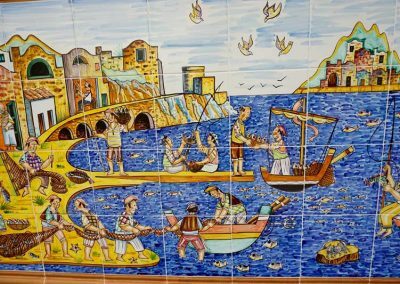 This gives almost everyone a clear view over the roof of the building in front, revealing stunning panoramas of the Mediterranean. A good place to relax while attacking a plate of Caprese; fresh Mozzarella with even fresher tomatoes and Basil and enjoying a glass or two of local wine! 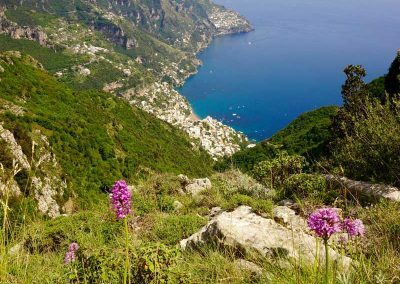 We will visit “Valle delle Ferriere” a revered reserve in the mountains of Scala, well known by Botanists for the presence of a living fossil, the Woodwardia Radicans. This lush bush landscape is filled with interesting vistas, old ironworks, beautiful forests, springs and waterfalls and the rapids of the Rio Canneto, once the driving force for the oldest paper mills in Europe. 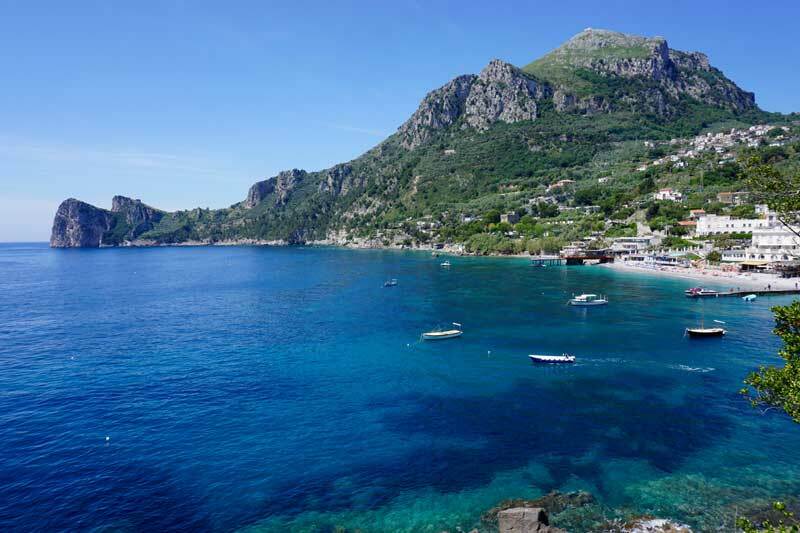 In the Tyrrhenian Sea off the Sorrentine Peninsula is a gem of an island called Capri. We will have the great pleasure of a day trip on our privately chartered boat direct from the jetty in front of our hotel, to this enchanting isle. 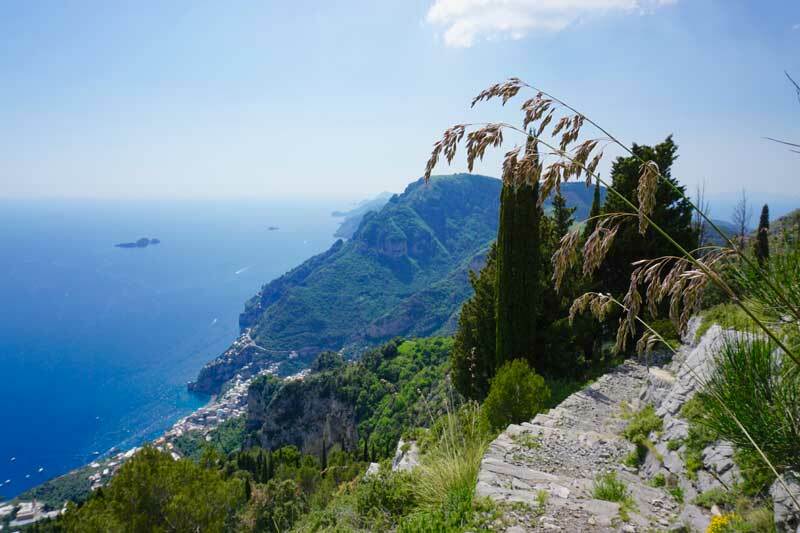 Unparalleled in the Mediterranean, Capri encapsulates natural beauty, cosmopolitan atmosphere and simplicity. We will walk through beautiful countryside with the most wonderful panoramic vistas of the pencil cypress, evergreen oaks and pines clinging to the chalky white limestone cliffs – and view the three mighty sea stacks, known as Fraglioni, down to a crystal clear ocean. Here we will sit, relax and take in the wonderful majesty of this dynamic view. 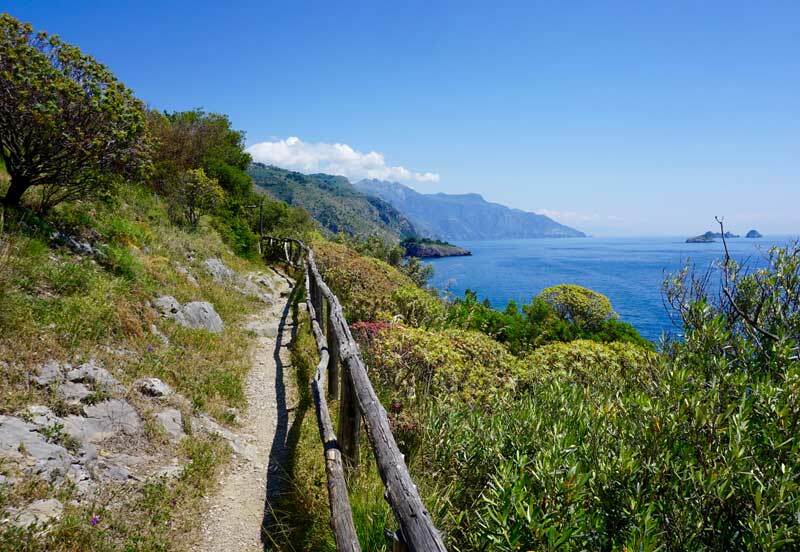 We may trek to the highest peak, Mount Solaro (elevation 589m). 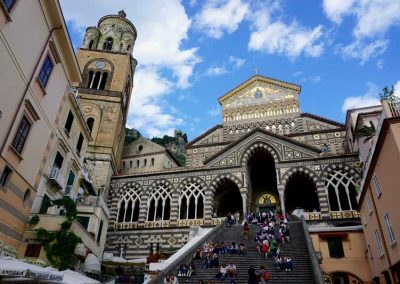 Steeped in history and legend, the Amalfi Coast boasts a wealth of Roman antiquities, as well as influences of the Saracens from the East. 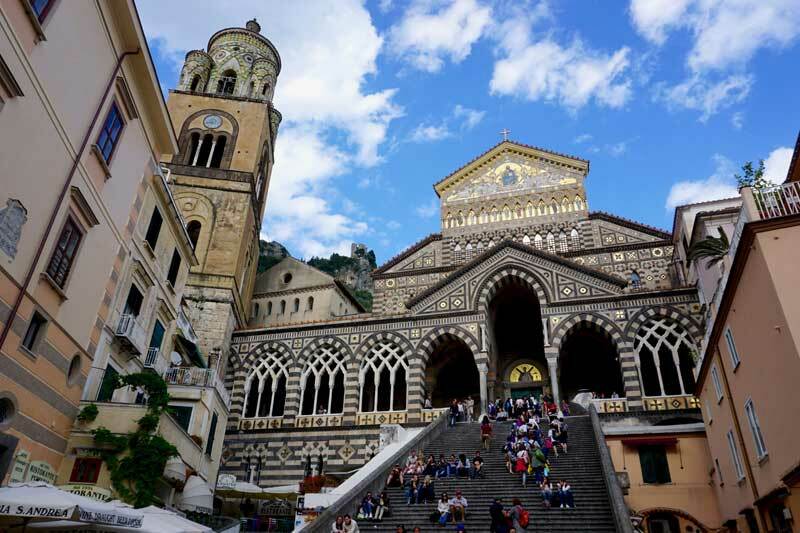 Stunning souvenirs of the Byzantium Empire embellish private houses and municipal buildings – we will see a good example – the bronze doors of the Amalfi cathedral, cast in Constantinople in 1066. Our tour will take us to some of the most beautiful spots along the Amalfitanian coastline and the Sorrentine Peninsula. Stunning waterfalls of fuchsia-hued bougainvillea, hibiscus with blossoms the size of dinner plates, lemon, fig and olive trees and organic gardens of herbs and vegetables are in abundance. The wild flowers in May are stunning, with many wild orchids. We will stay in 3 comfortable and spacious accommodations. 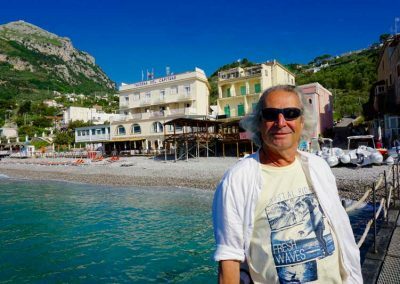 Arriving at the small town of San Lazzaro near Agerola, 650m (2,132 feet) above the Amafi coast, we will stay in a recently renovated, self contained, 7 room guest house. The building was originally the stable of the gatehouse to the long gone Castle Avitabil (1791-1850), which has been sympathetically restored, creating a tranquil private space for our guests to relax in. The gatehouse is of historical interest and is a protected building. We will dine at friendly family owned local restaurants and, on one evening, we will be entertained by a local chef who will prepare, and ask us to join in the preparation of a sumptuous authentic meal using produce bought from the farmers of the district. 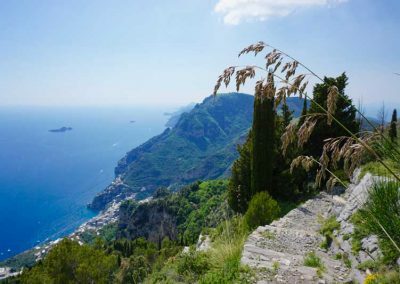 Here, we are close to both Amalfi town and the famous ‘Path of the Gods’. 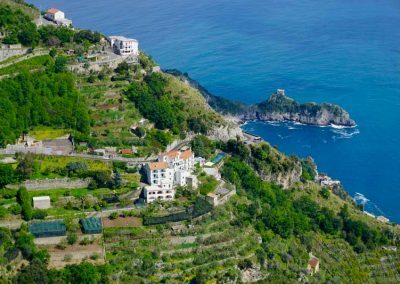 The next stop on our tour is a wonderful rustic family run Agriturismo perched high on the side of a hill in the peaceful village of Santa Maria del Castello, 680m (2,230 feet) far above Positano at sea level. Agriturismi (agricultural tourism) began in the 1980s as a way to encourage farmers to survive in a modern economy. 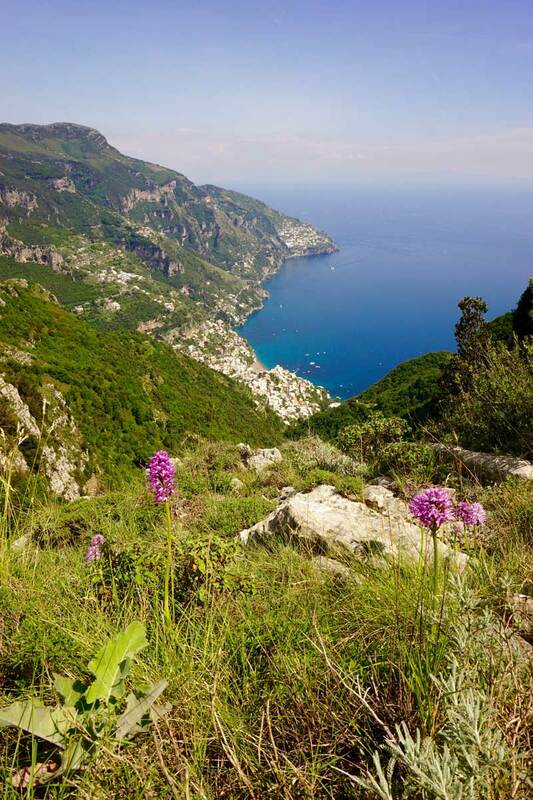 From our hillside we have stunning mountain views to the glorious Gulf of Naples. We will be treated to traditional Southern Italian organic farmhouse cuisine and homemade wine. This family run farmhouse is a peaceful base for exploring the region. Here we will experience the simplicity, harmony and relaxed way of country life. Our hosts are extraordinarily friendly and full of the joys of their lives and we will become part of their happy family, if only for a few days! 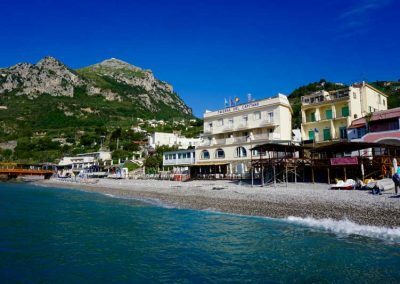 Our last port of call on this exciting tour is a charming family run hotel beside the seashore near the village of Nerano. 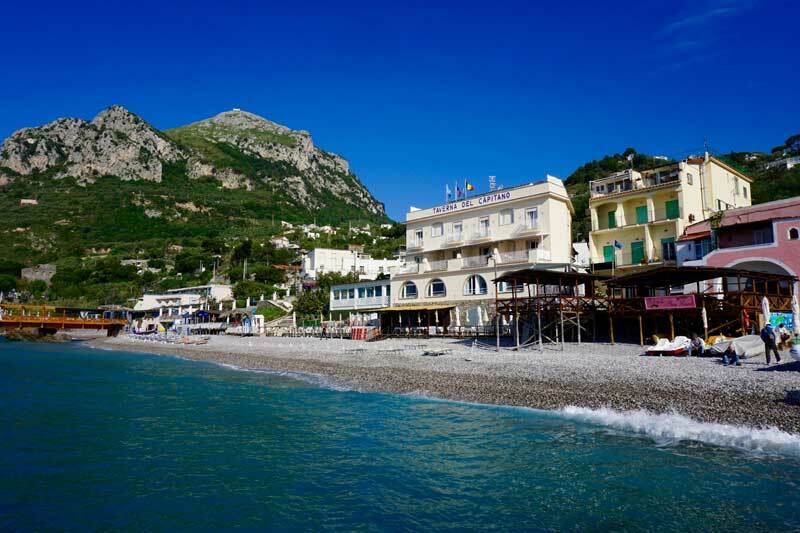 This quiet fishing village is located at the very end of the Amalfi Coast Peninsula. The Taverna del Capitano offers the maximum in comfort and relaxation for our last few nights. Most of the bedrooms look right out over the beach, towards the setting sun. 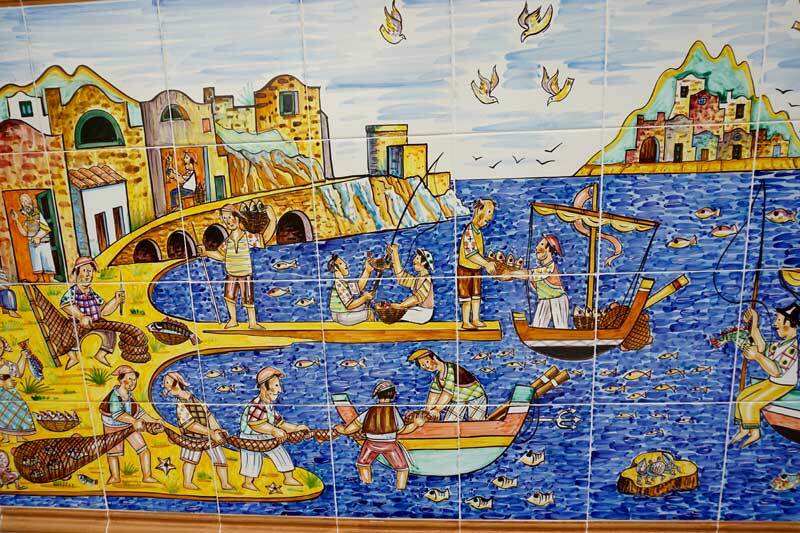 Here we will taste the delights of fresh fish caught in the Gulf of Naples, meat from long-standing suppliers who worked with the original owner, Grandfather Alfonso. All vegetables are selected with respect to the season and for the farmer’s use of biological cultivation. The bread and pasta are homemade each day by Grandmother Mariella using traditional recipes passed down through the generations. Her son Alfonso prepares the inspirational evening meals. You will meet this hospitable family made up of Grandparents, children, grand children, cousins and their partners and be delighted by their passion and service. As we know, walking, talking, laughing and making new friends is good for our mind, body and spirit. These are some of the most enjoyable activities one can participate in; reducing stress, easing muscle tension – and calming our minds. We usually walk approximately 8-12 km per day, taking breaks to absorb our surroundings and relax. 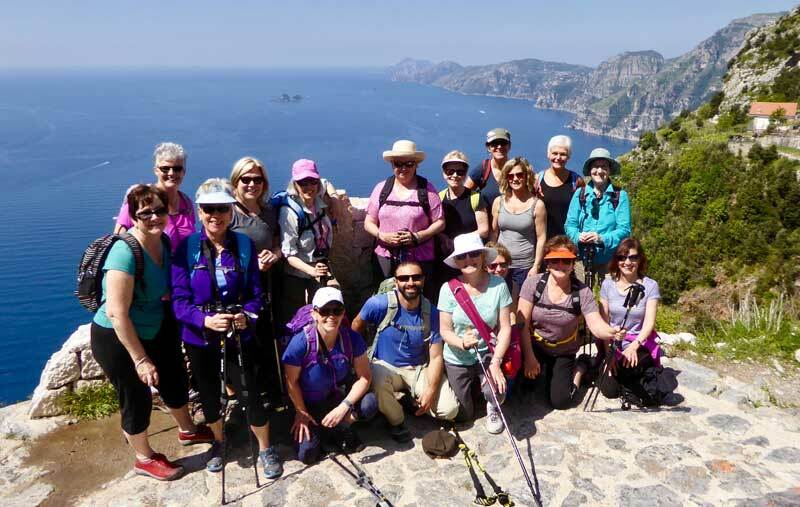 You will find our fellow walkers are like-minded individuals who share a love of nature and connect with the great outdoors. 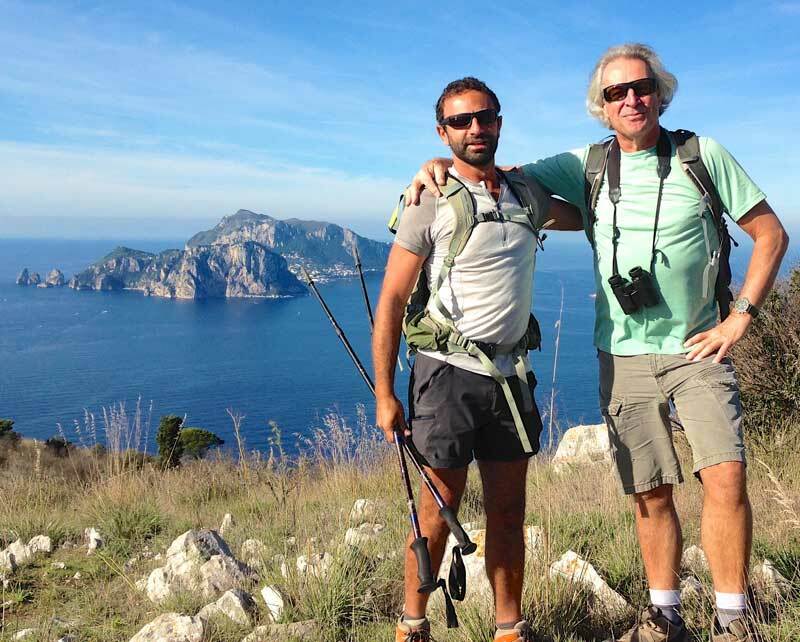 Join our trusted guides Martin and Luca for an informative, fun and friendly tour of Amalfi. 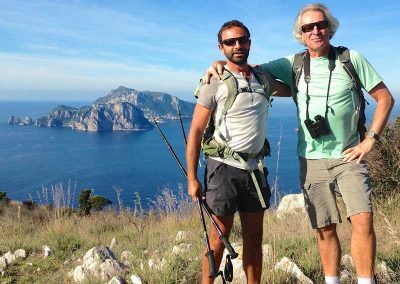 With their many years of combined knowledge, they will bring the local landscape alive connecting you with all aspects of nature and wildlife, history, local cultures and traditions – including the unique regional gastronomic specialities, which form an integral part of all our tours. 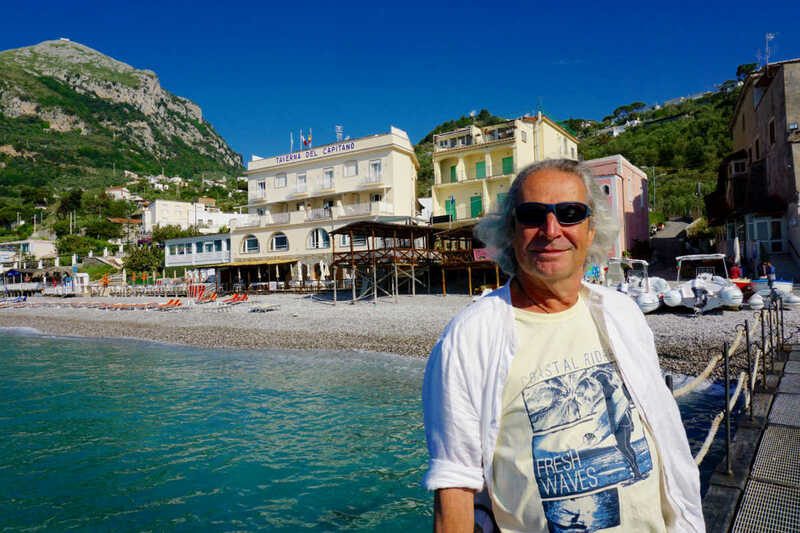 For photos from our Amalfi and other Walking Tours please go to our Facebook page. Price: €2,950. Single room supplement of €180. Please contact us for our detailed fully illustrated pdf brochure.